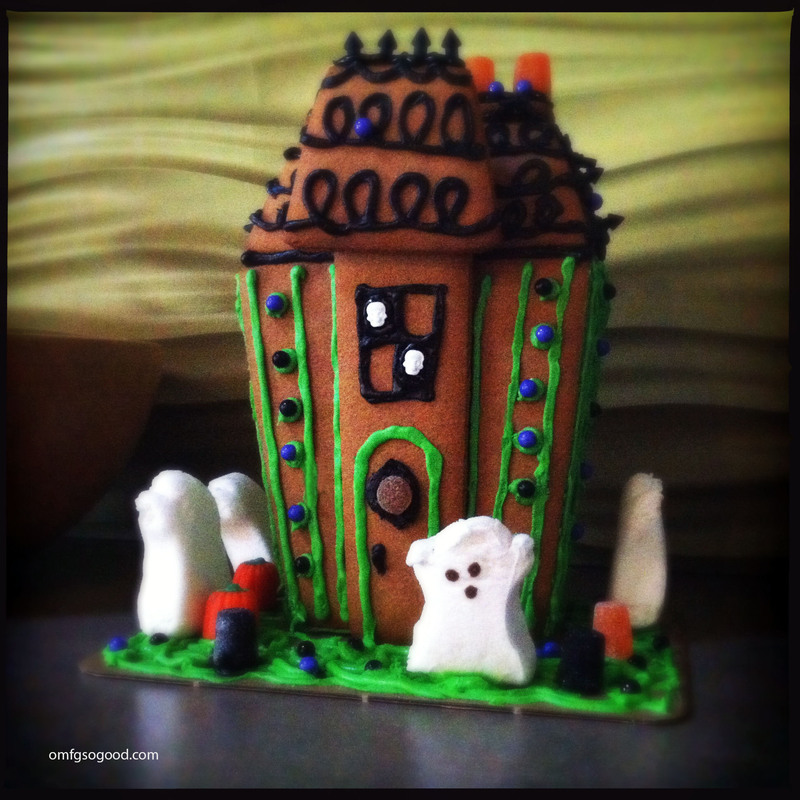 haunted gingerbread house | omfg. so good. Today Finley, Jonny and I busted out this awesome haunted gingerbread house to adorn our kitchen counter. Fun, right? Now I need to go chase the boy around the block at least 23 times to burn off the sugar rush he’s on from ‘testing’ candy corn pumpkins and ghostly Peeps all afternoon.